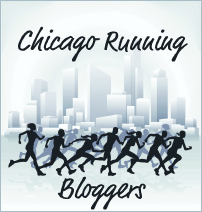 As I was driving down to Chicago to the Shamrock Shuffle, I experienced that familiar feeling: the sentiment that inspired this blog. “Why the hell do I do this to myself? Why don’t I just stay inside the comfort zone? I could be home, in bed, asleep. Doesn’t that sound like a much better way to spend my life?” It was cold. It was alternately raining and snowing. It was a Sunday morning. It was an ideal day to sleep in, and yet my alarm went off at 6:30 AM. None of my “real life” friends were doing the race, so I was heading into the city by myself. One friend (Kelly) was planning to run, but after the snowy, rainy mess of Saturday, she said (in rather blunt and colorful language) that she was not going. So there I was, driving to Chicago, wondering why I ever thought this would be a good idea. I knew there were some Twitter runners doing the race, but the only two I had actually run with before (Heather and Molly) were not doing it, which meant I would be running by myself. One Twitter runner, Jaqueline, would be in the same start corral as me, but I had never met her before. Imagine trying to find someone you have never met in a crowd of several thousand people. It’s not fun. Another runner I had met before, Chanthana, was running, but had a different start corral, so I planned to try to meet up with her after the race. However, trying to find someone after a big race is never easy. Really, nothing about this day seemed easy or fun. Staying home and sticking to my usual routine sounded much better: sleep, coffee, spin, breakfast, read the paper. I began to regret ever signing up for this race. As I got into Chicago, however, I started seeing barricades and banners. For some reason, I (mistakenly) thought this was a little race along the lakefront. Wrong, wrong, wrong: 30,000 runners on the streets of the city, quite reminiscent of the Chicago marathon. Slowly this experience was moving from a pain-in-the-neck to a bit of an adventure. The rain had stopped, and there was excitement in the air. I parked the car and joined the thousands of runners moving like an amoeba towards Grant Park. Mind you it was still freezing, and I still had to go through the needle/haystack experience of trying locating Jaqueline, but the enthusiasm was contagious. Furthermore, it turns out that locating a needle in a haystack is a lot easier when you can text the needle. I found her soon enough, although we only had a few minutes to chat before the start. Needless to say, Jaqueline runs faster than me (most people run faster than me) so she disappeared into the crowd and I settled into my pace. The run was scenic, the energy was high, and there was green everywhere. I got to chat with Andie at the water stop. It was a blast. I reconnected with Jaqueline at the finish, then we tracked down Chanthana and Ken at the beer tent. We didn’t last long due to the cold, but fortunately the morning ended with fun lunch inside a warm restaurant with Chanthana and some other runners. So, while staying home and sticking to the regular routine would have been a lot easier (and a lot warmer), I am glad I did it. In the end, it was a great way to spend a Sunday, far more interesting than my usual routine. Maybe eventually, after I do this enough times, the why-the-hell-am-I-doing-this feeling will finally go away. But I doubt it. Good for you! I’ve often felt the very same way. Thanks for putting it into words so eloquently. Hope to see you at a start line again soon. I am amazed at how you found Jacqueline (twice)! And how Ken & I found each other (twice) and then found you & Jacqueline. It was great catching up with you at The Gage. I owe you a drink/coffee/pastry/GU/Gatorade since you gave too much money. Luckily, we have lots of races left to see each other. Sue! love the blog post 🙂 i really need to write a race review for Shamrock.. I’ll just add that to my “to-do-with-all-my-free-time” list 🙂 So great meeting you on Sunday – really glad we were able to sift through the haystack and find each other! Look forward to seeing you at other races & events! Thanks for the shout out, Sue! I’m going to print a few of these out and have them as waiting room reading material in our office!